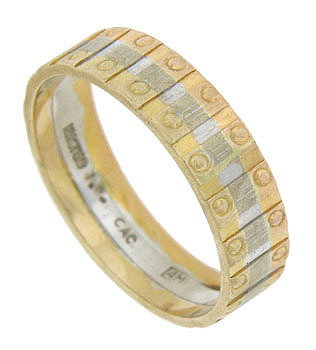 This unique estate wedding band is a combination of red, yellow and white 18K gold. 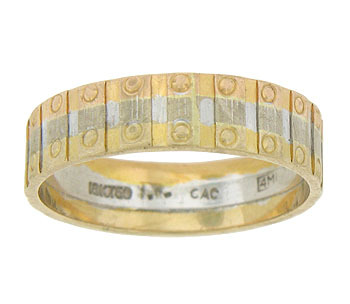 An engraved pattern of links edged in bold circles covers the surface of the wedding ring. 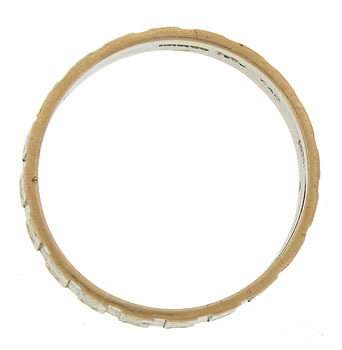 The ring measures 4.72 mm in width. Circa: 1975. Size 5 3/4. We cannot re-size.